​He's going to be long gone come training camp. 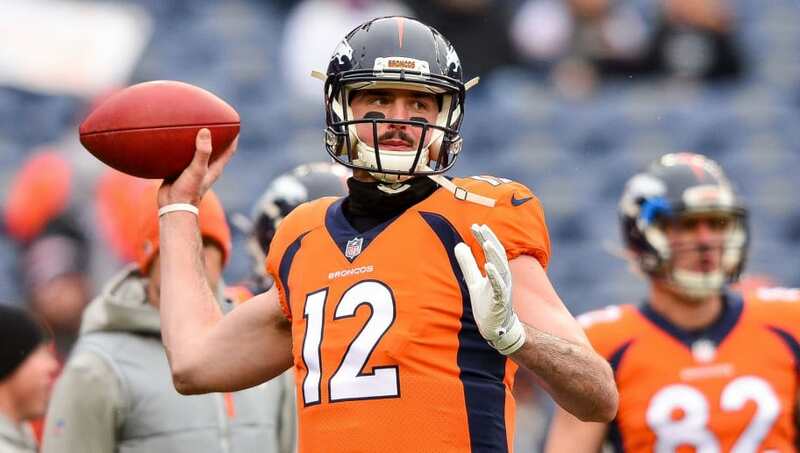 It's been nearly two years since the Denver Broncos drafted Paxton Lynch, and he's still yet to ​win the starting job outright. While some would ​accuse Denver of mismanaging Lynch, he hasn't shown much talent to manage. Apparently, Lynch's work ethic is to blame, as he's more interested in video games than the play book. There are some concerns about Lynch inside the Broncos organization, and it's clear work ethic is at their core. I believe that everyone in the NFL is talented, it's just about finding the right fit, and putting the effort in. If Lynch isn't willing to do the latter, he's got no place in the league. Denver is rumored to be the favorite for Kirk Cousins, and they also have a top-five pick they could use on a QB. Acquiring Cousins or a rookie makes Lynch or Trevor Siemian redundant. Siemian has shown skills as a starter, and would hands down be one of the best backup quarterbacks in the NFL. On the other hand, Lynch wouldn't provide much security. He'd never get to play if they landed Cousins, and he'd only take snaps away from a rookie. Cut or trade him now.